Email notifications are an excellent way for users to stay on top of changes in a space. 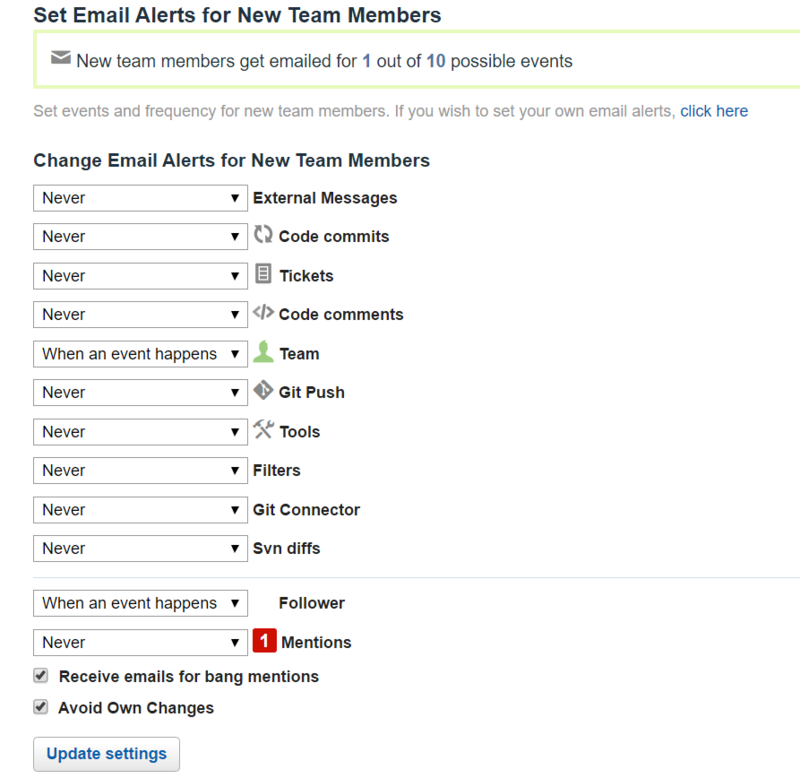 Configuring email notifications involves specifying the events from which you wish to receive alerts and at what frequency. 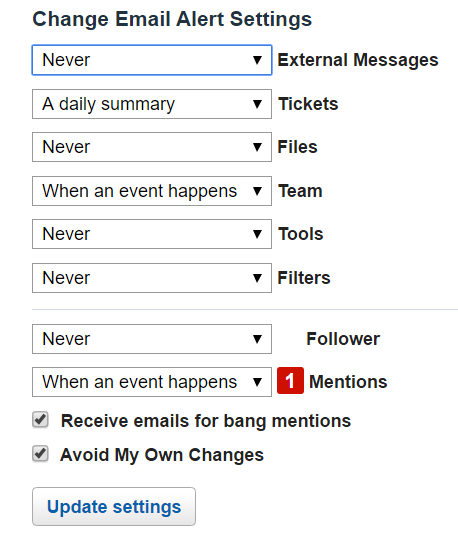 By default, email notifications are turned off for all space events except for the "Follower" event (events are described here). Users with the Owner role in a space can create a different default email notification policy that will be applied to new users added to the space. Users can define a personal notification policy for spaces in which they are members. Their personal notification choices will override the inherited default space notification policy. Users can also configure a personal policy for a space from the Notifications tab within the space's Stream tool. In the Notification Settings page and on the Stream you will only see sources for tools already installed in the space. Also, you will only see tools on which you have at least "View" permission. 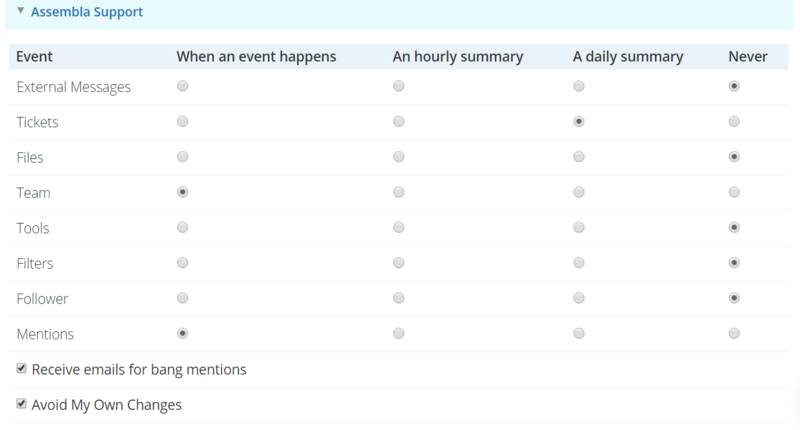 For hourly, daily, and weekly summary frequencies: if no event happens during the interval, no email is sent out.The default email notification frequency is "Never" except for the Follower event.